Home » Articles » 17,300 km Prayer Walk Started Today! 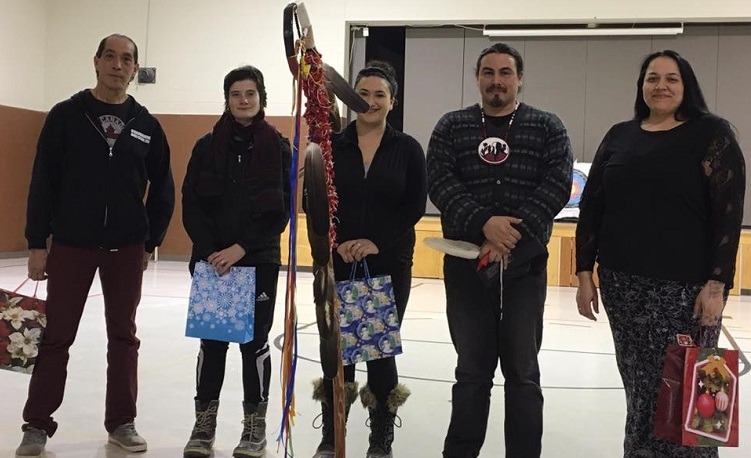 NEYAASHIINIGMIING – A group of Indigenous Men, Women and #Two-Spirit people are embarking on a cross-Canada Prayer Walk on the Winter Solstice, December 21, 2017, the day the sun returns for the New Year. Da-Namaamin Moseyang Giw-Ganchigaazjig Kwewag, “We will walk in prayer for those murdered women,” is a grassroots, Indigenous-led walk that will cover over 17,000 km from coast to coast. The walk is a healing journey that aims to respond to the murders and disappearances of Indigenous women, girls, and future generations. The Prayer Walk will take about one year to make beginning December 21, 2017, at Neyaashiinigmiing (Cape Croker, Ontario). The group will travel south on Highway 6 through Wiarton to Highway 21 and will then head east through Owen Sound, Meaford and Collingwood. Once the group reaches Sudbury, they will travel west on the Trans-Canada Highway to Prince Rupert, British Columbia, then travel back east to St. John’s, Newfoundland, and return west to Neyaashiinigmiing. It will cover an approximate distance of 17,300 km. The Prayer Walkers started their journey from the Chippewas of Nawash Community Centre this morning, Thursday December 21, 2017.